Lunacci + The Lunatics is a wonderfully vibrant folk-ish collaboration. Stylistically somewhere between Mumford & Sons and Newton Faulkner, this fun filled trio is bound to make you smile and get your feet moving. Never short for original material, folk themes and motifs resonate throughout these songs. A trio of experienced musicians that is fronted by a dynamic and seasoned front-man; live performances are full of energy and excitement, and always highly interactive. 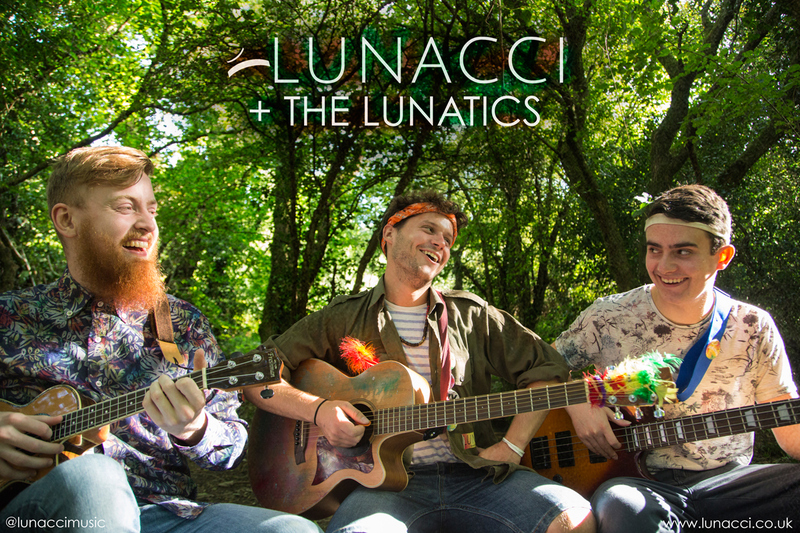 After headlining Cornish venues and performing at various festivals throughout the year, Lunacci + The Lunatics finally bring you their first recorded single. A live gig with Lunacci has one ambition: to have as much fun and interaction as possible.